This week the Elastos Carrier node count hit 1 million deployed nodes, the DPoS Election Process was announced, and the 2018 End of Year Report was published. • Fixed the bug that plugin authorization which is granted when launching Dapp for the first time takes effect only after Dapp is restarted. • Optimized the toolchain for Runtime. Plugins can be added and removed separately for easier plugin debugging. ToolChain supports both python2 and python3. • Completed the Hive node/cluster server software installation package. • Implemented the Carrier offline message on the interface provided by Hive. An alpha version is scheduled to be released along with Hive. • Optimized the Carrier iOS SDK. Due to insufficient test case set for the Carrier iOS SDK, the release of the iOS version will be delayed. Trinity has received quite a few updates over the last few weeks. It now allows the import of Trinity apps on both Android and iOS platforms. Trinity toolchain now supports both python2 and python3 and has also been optimized for Elastos Runtime as plugins can be added or removed separately for easier debugging. This is especially handy when adding in new plugins to Trinity such as Elastos Carrier plugin, camera plugin, etc. Elastos Hive continues its update as Android client SDK is officially in development and testing purposes. Elastos Carrier is now in the process of implementing offline message supported by Elastos Hive (storage). Supernode voting and DPoS consensus are being prepared and tested thoroughly before they go live in the next month. Mobile SPV wallet is also undergoing testing for iOS platform in addition to Android and DID chain is being integrated into it as well. -Elastos Ledger App has been submitted to Ledger and the integration process has begun. – The Elastos Foundation End Of Year Report 2018 offers key insights into the progress of our project while also highlighting plans for 2019. Also, we announce our newest partner. 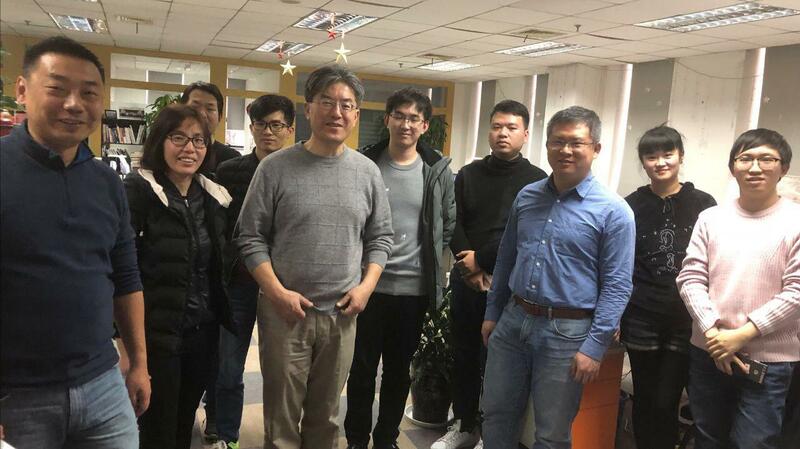 The Elastos Team had a review meeting with Elastos DMA (Decentralized Marketing). 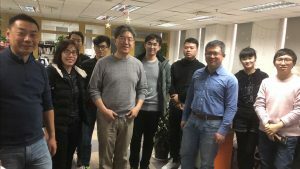 The Elastos DMA team gave a demo on the DMA 1.0 Beta and the Uptick Dapp. 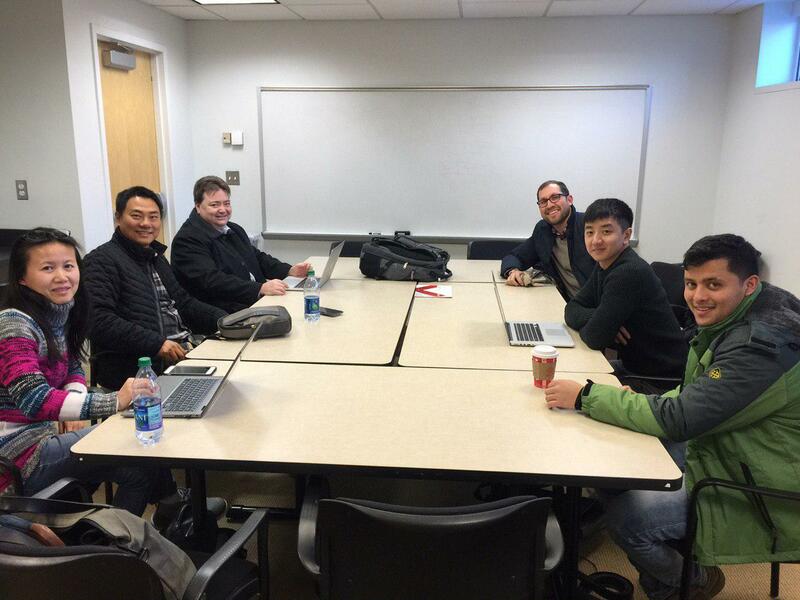 The Elastos US team visited Professor Angelos Stavrou of George Mason University in Fairfax, Virginia where it was discussed that Elastos will be collaborating with the university on setting up a testbed for the Elastos infrastructure. The purpose of the testbed is to build a console that students and developers from all over the world can utilize to create their complete developer environment with necessary tools and the use of docker containers. This will ease the barrier of entry to new developers into the blockchain world as it will let them create their own private net for different Elastos components such as: main chain, sidechains, Carrier and Hive. These can be used to develop and test their decentralized applications before pushing it to the main net. Furthermore, it is hoped that the testbed can also be used for security testing, penetration testing and sanity testing to make sure there are no vulnerabilities in the Elastos code and if there are, generate reports and patches that can fix those vulnerabilities. Note: George Mason University is famous for its Cybersecurity program that they offer to students. Dr. Angelos Stavrou is a Professor at George Mason University and the Director of the Center for Assurance Research and Engineering (CARE) at GMU and one of the chairs for the IEEE Blockchain initiative as part of the IEEE Future direction initiatives. Stavrou has served as principal investigator on research awards from NSF, DARPA, IARPA, DHS, AFOSR, ARO, ONR, he is an active member of NIST’s Mobile Security team and has written more than 90 peer-reviewed conference and journal articles. Stavrou received his M.Sc. in Electrical Engineering, M.Phil. and Ph.D. (with distinction) in Computer Science all from Columbia University. He also holds an M.Sc. in theoretical Computer Science from University of Athens, and a B.Sc. in Physics with distinction from University of Patras, Greece. Stavrou is an Associate Editor of IEEE Transactions on Reliability and IET Journal on Information Security. His current research interests include security and reliability for distributed systems, security principles for virtualization, and anonymity with a focus on building and deploying large-scale systems. Dr. Stavrou received the GMU Department of Computer Science Outstanding Research Award in 2010 and 2016 and was awarded with the 2012 George Mason Emerging Researcher, Scholar, Creator Award, a university-wide award. In 2013, he received the IEEE Reliability Society Engineer of the Year award. He is a NIST guest researcher, a member of the ACM and USENIX, and a senior IEEE member. Under DHS funding, he designed next generation analysis and defenses for mobile devices for both Android and iOS systems, Kryptowire designed and implemented novel MDM and analysis software that can collect mobile application and network telemetry from mobile devices for which his team was awarded the DHS Cyber Security Division’s “Significant Government Impact Award” in 2017.